The long and short of it: The 6 best cycling shorts for men! Why do we use cycling shorts? Keen cyclists understand that the right gear makes all the difference to their ride: a great bike, a safe helmet, and the right clothing. Never underestimate the importance of your attire. Cycling shorts are specifically designed with the rider’s needs in mind: padding to make long outings more comfortable, flexible fabrics to make movement less arduous, a tight fit to be more aerodynamic and ensure there is no snagging or catching, well-placed seams so that nothing digs into the crotch during pedaling, and breathable fabric which keeps you cooler when you’re working up a sweat. What makes good cycling shorts? When deciding what are the best cycling shorts, there are a number of factors to consider. Padding – The first consideration needs to be padding, because although some shorts are unisex, others provide different types of cushioning depending on the gender of the cyclist. Ensure you are browsing shorts which are unisex, or aimed at your specific gender. Once you’ve narrowed down shorts by gender, decide what type of cyclist you are. Long distance cyclist? New to biking? You will want more cushioning, so look for denser padding. Short distance cyclist? Smooth route? Highly experienced? You’ll probably do fine with thinner padding. Fabric – Cycling shorts come in a variation of fabric blends. For durability, look for nylon and lycra blends. For cooler comfort in all weathers, go for a polyester and lycra blend. Serious cyclists might look for high spandex content, for great muscle compression to aid an intense ride. Length – Some people prefer to go with shorter styles, to stay even cooler or prevent tan marks if they’re biking a lot, but the typical length is a couple of inches above the knee. Look for regular inseams if you’re unsure, long inseams if you have broad thighs, or short inseams if you prefer that style. Bib – Again, think about how long your typical journey will be. Some cyclists find that elastic waistbands squeeze their middles if bent over a bike for long periods, in which case, bib shorts can be a good alternative, as they are supported by hooking over the shoulders instead. Leg bands – Also called leg grippers, these keep your shorts in place when you’re on the move, and prevents them from rolling, bunching, chafing and causing sores. Make sure your shorts have leg bands. Panels – The more panels, the more tailored and comfortable the fit. 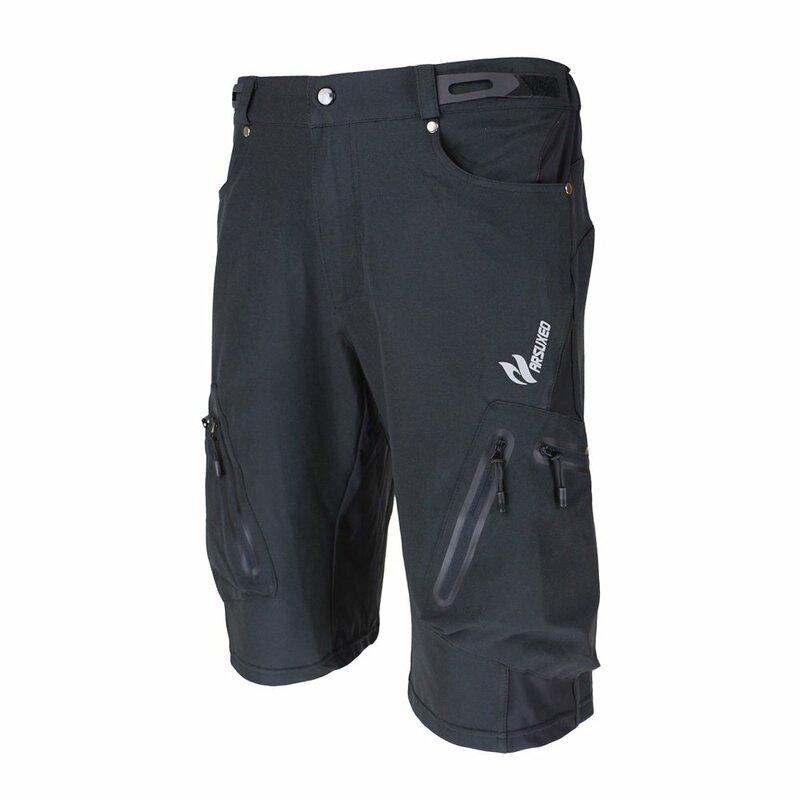 This adds to the price, but shorts with as many as 8 panels are more adaptable for the cyclist. Visibility – Bright colours and reflective strips or logos all add to the visibility and safety of the cyclist. There are several major brands of cycling shorts. FDX have a good range of both bib shorts and elastic waistband shorts in simple, understated styles, offering value for money. Tenn-Outdoors boast a vast range of cycling shorts for every type of cyclist from mountain bikers to commuters and triathletes. Arsuxeo are a cool option for cyclists who want options in bright colours in stylish designs, at a low cost. Baleaf pride themselves on the comfort factor, and their aesthetic is simple yet sporty. Their men’s range is broader than their women’s range. 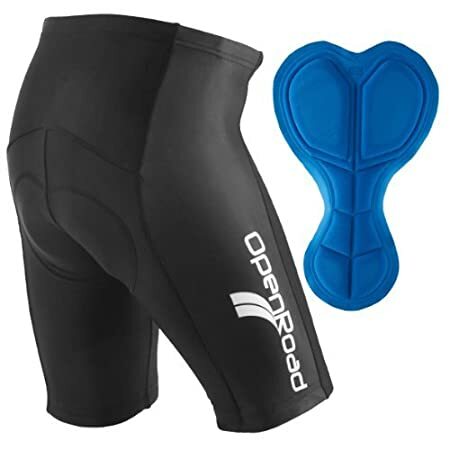 OpenRoad make a range of simple, functional cycling shorts in classic designs. These high end shorts put comfort first, providing great relief from sweat and heat. 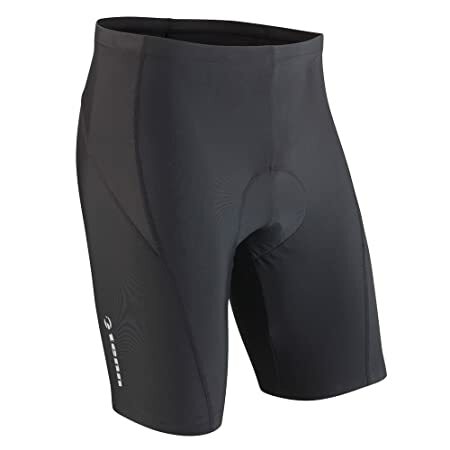 With ample padding, these are probably the best padded cycling shorts for men. Beware that (like with the Bayleaf) you will probably need to buy a size up, as most wearers have discovered, but this shouldn’t be a problem as they do come in a wide range of sizes. Overall: a comfort conundrum, with cushy and rough combined! The gel padding in these shorts makes them extra cushy to sit on. On the downside, some cyclists find that the seams are abrasive. These short shorts come in a range of cool colour options, and are ideal for people who want to wear them under looser fitting clothes, or avoid tan marks while cycling. Be careful with sizing, because like with Tenn-Outdoors, you are likely need to buy a size up. These shorts are good all-rounders, ticking most boxes for most cyclists, and sizing is accurate. The drawback is that they might not last as long as the other shorts listed here. These casual-looking shorts are not your typical spandex cycling shorts, but baggy fitting like khakis. They are completely unlike the other 5 shorts. Lightweight and loose, they are very comfortable, but make sure you’re OK with the fact they don’t have padding. These shorts are great value and the Coolmax padding is effective when it sits correctly. Some cyclists find that it’s positioned wrong, providing bulk in the wrong places. So there you have it. But what are the best cycling shorts? Each style has their own merits and their own drawbacks, so individual cyclists have to weigh up what works for them. How often do you ride, on what terrain, in what weather, and for how long? Let these questions guide your choices. Now, on your bike! Bon voyage.